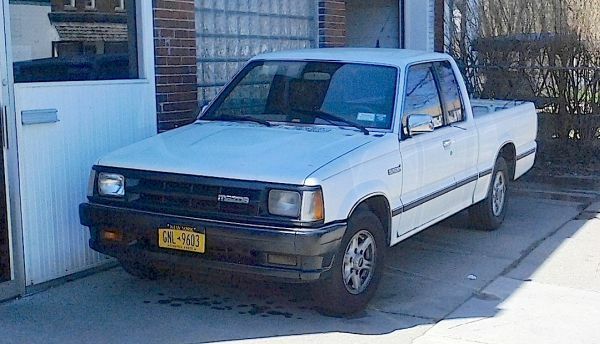 You never know what you might come across while on your bicycle — like this rare (in these parts anyway) 1991 Mazda B2600i pickup, seen a couple of weeks back on Niagara Street in Buffalo. There was a time back in the day when small Japanese pickups were all the rage. These days, or so it seems, small pickups are for wimps; and big pickups seem to be some sort of status symbol. I’ll take one of these small guys — and its payment book — any day. Jim Corbran, RRofWNY The post RealRides Of WNY appeared first on Buffalo Cars.